Kensington is located in Greater London. The seat was created in its current form in 2010. The current member of parliament is the Independent Conservative Malcolm Rifkind who has served since 2010 (Kensington and Chelsea 2005–2010 and Edinburgh Pentlands 1974-1997). Robin was born in Lambeth and grew up in London, the Netherlands, and Cambridge. 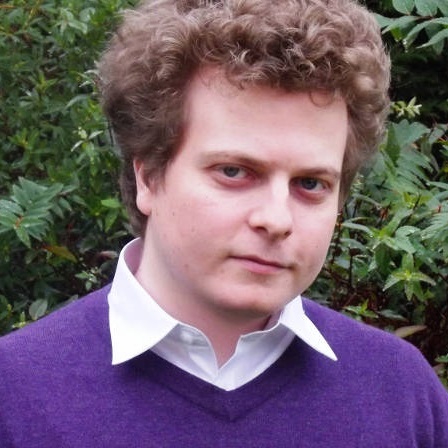 He studied history at Oxford University and since graduating in 2012 has worked in research, journalism, and for Lib Dem MPs. Robin believes in the urgent need for political reform in Britain today. Only the Liberal Democrats have the policies of changing the voting system, giving power to local government, and getting ordinary people involved in community politics which are needed to make Britain a modern, functioning democracy where politicians do what people want. 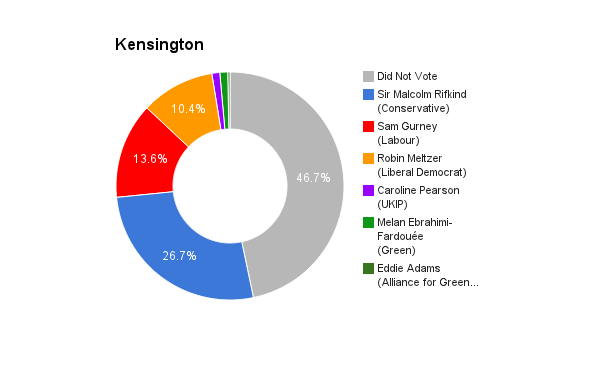 The current system lets people like Kensington’s Tory MP completely ignore most of their constituents and take little interest in the issues which matter to ordinary residents. As one of the youngest parliamentary candidates in the country, Robin is particularly interested in the issues affecting young people in Kensington. He wants to reduce high rents by outlawing “buy-to-leave”, where rich oligarchs can buy up properties and refuse to let them out, and by building more houses outside the capital and investing in better transport for commuters. Robin is also keen to protect small shops and businesses in the borough by making it more difficult for landlords to sell commercial property for housing, and by reducing business rates for small businesses. A keen environmentalist, Robin believes we need to take radical steps to reduce the devastating impact of climate change. One of the best achievements of the Liberal Democrats in government has been promoting environmental policies like the Green Investment Bank, and stopping a Conservative party keen to turn back the clock on green policies. As a member of Green Liberal Democrats, Robin wants to see Britain lead the way in switching to clean energy, encouraging public transport, and protecting the natural environment. In my experience the best way of staying in touch with voters is to campaign year-round: running petitions and surveys, delivering informative leaflets and letters, and holding meaningful public meetings. You absolutely have to go out and seek residents’ views, not just await for them to get in touch with you, and that requires a huge amount of work. The MP needs to be the leader of the community rather than just representing it in Parliament. That’s what democracy is about. I think I’ve got the best ideas about what our country needs- more equality, better politics, a greener economy- and the best ideas locally- prioritising affordable housing, better education, and being a good local constituency MP. He deserves credit for his opposition to excessive development of basements, and his work with local armed forces charities. Generally he has been a very poor local MP, but it would be wrong to say he’s done *literally* nothing at all. Austerity was something the government was forced to do, it isn’t a positive thing, so it can’t really “work”. We inherited a disastrous fiscal situation and it shows how much the Lib Dems have achieved that we’ve been able to get the investment in jobs and apprenticeships, tax cuts for the worse-off, and investment in the green economy despite there being very little money to spend. Immigration is vital for the UK and at the moment most limitations are much too strict. I have an American friend who recently moved back to the US, partly because it was so hard for her to be able to stay here despite being incredibly highly skilled and educated with a British husband. It would be absurd to say there should be no restrictions at all, and I am very sceptical of some unskilled immigration, but most immigration is of highly skilled, educated and committed people and is a good thing for our society and economy. This is of course a very big question indeed, affecting the whole economy, but there are some specific and obvious things we can do. We need more affordable housing- rents and house prices are too high, which is why the Lib Dems want to build 300,000 new houses a year. We need a rise in the minimum wage- it is already thanks to Lib Dem action going to be above £8 an hour by 2020, and I think it should be much higher than that. And of course we need government action to encourage creation of more well-paid and stable jobs, which is why the Lub Dems have invested in millions of apprenticeships. I want to see the NHS sustainably funded- with an ageing population that means more money every year on top of inflation, hence the Lib Dem commitment to £8 billion a year more for the NHS. I want to see an end to privatisation and reversal of most existing privatisation. I want to see an NHS run by local government and local communities, not top-down from Whitehall. A more equal society, with more investment in education and training from early years, is a very good start. Government investment in job creation specifically aimed at the very poorest is also essential. And of course we need to encourage companies to move here from abroad, and make it easier for people to start their own businesses and run them. All the while we need to remember it’s about quality, not just numbers. You don’t achieve much if you get someone off the dole and into a zero-hours minimum wage unskilled job. Vote to stay. The Lib Dems were the only party at the European elections to campaign firmly to keep Britain in Europe, because we know an exit would be a disaster for our economy and would massively reduce our influence on the world stage.